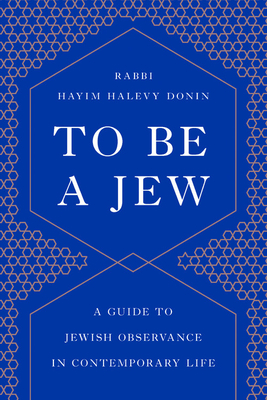 Rabbi Hayim Halevy Donin (1928-1983) established himself as an incomparable teacher and interpreter of Jewish laws and practice through his classic books To Be a Jew, To Pray as a Jew, and To Raise a Jewish Child, all published by Basic Books. For twenty years he was Rabbi of Congregation B'nai David in Southfield, Michigan, where he was also Adjunct Professor of Judaic Studies at the University of Detroit. Rabbi Donin held a Ph.D. in Education and was also the founder and president of the Akiva Hebrew Day School in Detroit.